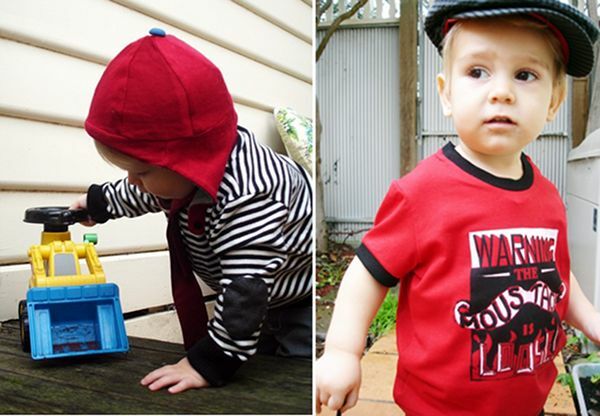 Handsome boys clothing and accessories in dapper fabrics, with a vintage hoodlum influence. Inspired by everything from thirties gangsters and molls to psychobilly, acid country and bare knuckle boxing. Isn’t that just word perfect? The aviator hat is a must-have in this family of pseudo-pilots, and my little vintage hoodlums would look a treat in a pair of Furious Kingston jeans. Have a look around the shop for yourself and you’ll find smart waistcoats, viking tees, gangster-esque pants and cowboy shirts. 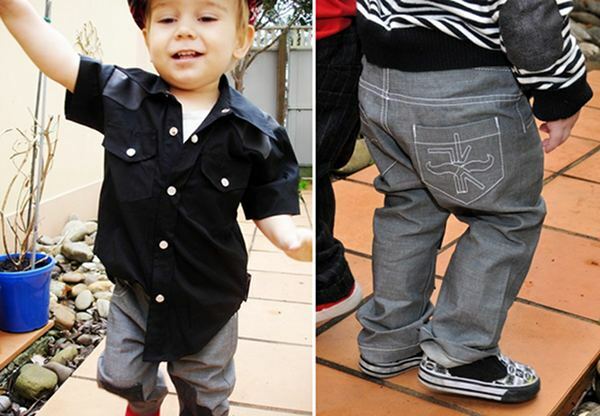 Prices start at US$20 for a hat, up to $75 for pants, from Furious Kingston. The word from designer Cherry Rockette is that the spring collection will be out soon!